This picture above says a lot. There is much for me to learn. 1) At any given time, about one-half of the planets are covered by clouds. 2) Cairo, Egypt, is by far the largest city in the Middle East, with over 10 million people. 3) In 1858, John Hanning Speke, while traveling on his own, discovered La Victoria and claimed it to be the source of the Nile River. Many did not believe him. Speke returned to the lake in 1860 and proved Lake Victoria was indeed the source of the Nile River. 5) The world’s first monument to an insect was dedicated and established in Enterprise, Alabama, on December 11, 1919 of a boll weevil. 6) Harvard University is the oldest college or university in the United States. It was founded in 1636 in Cambridge, Massachusetts, just outside of Boston. 8) Dum Dum International Airport is in Calcutta, India. 9) Gambia follows 200 miles of the Gambia River; it is a very thin county, averaging only 12 miles in width. Gambia is entirely within the West African country of Senegal. 10) Kunta Kinte was from Gambia. Kunta Kinte, the protagonist of Alex Haley’s novel Roots. 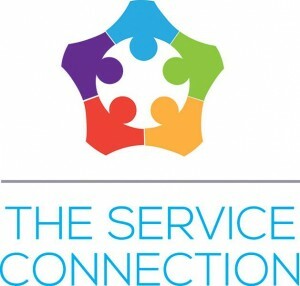 www.ServiceConnection.biz Gail has over 30 years of business development, advertising sales, magazine publishing, and customer service. My trusted attributes are: detail oriented, outstanding attentiveness, diplomatic, trustworthy, dedicated relaxed attitude. I am resourceful. http://serviceconnection.biz/wp-content/uploads/12234941_783962301733010_4785872845827913534_n-1-300x286.jpg 0 0 Gail Wilson http://serviceconnection.biz/wp-content/uploads/12234941_783962301733010_4785872845827913534_n-1-300x286.jpg Gail Wilson2015-06-25 21:02:302015-06-25 21:02:30"9 things I know today that I didn't know yesterday"